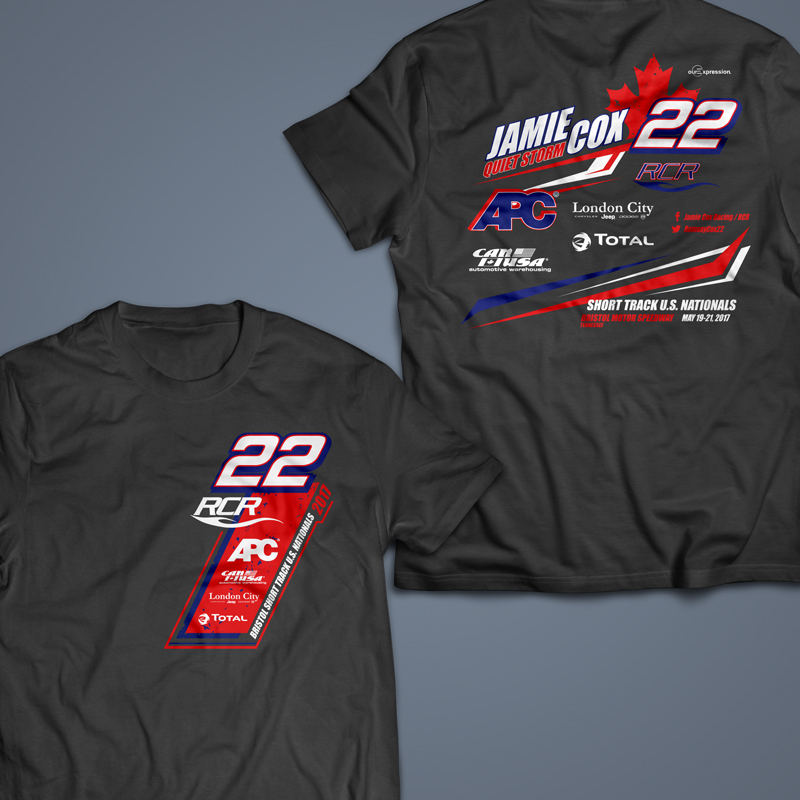 The Ramsay Cox Racing Team is known as one of the top teams in Ontario with driver Jamie Cox behind the wheel of the 22 Pro Late Model. 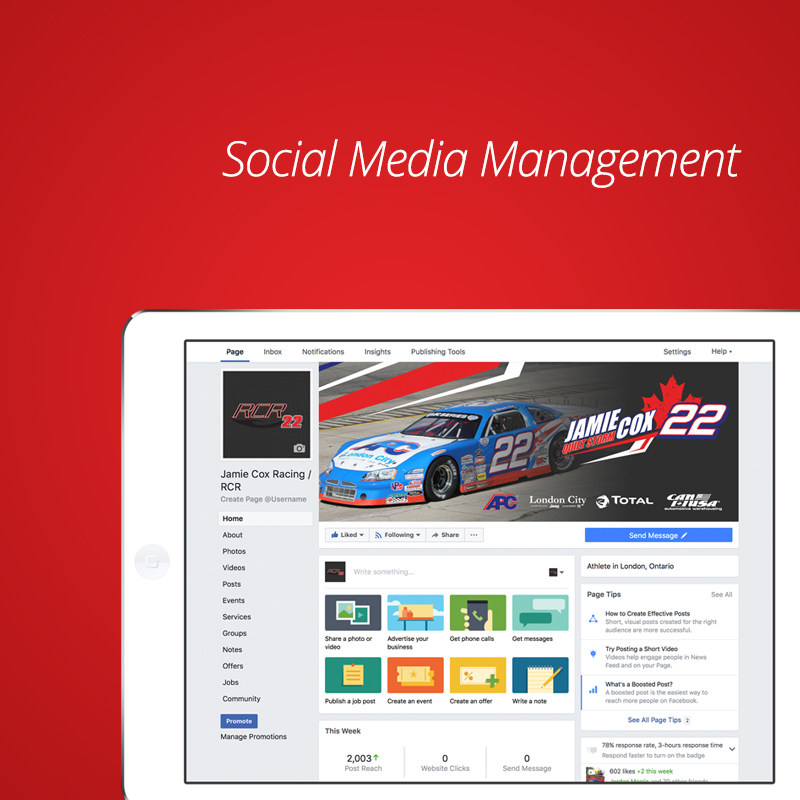 To provide social media management on an existing platform and expand to an additional platform. 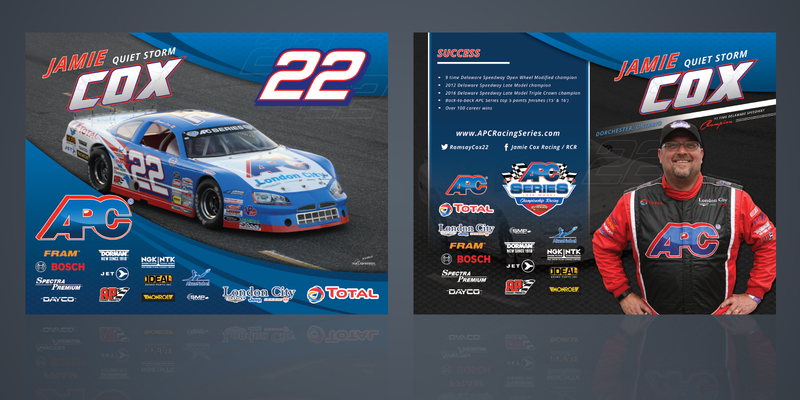 Other marketing materials were required for the 2017 season to help with sponsor promotion. Our team worked to better an existing social media outlet for the team while introducing a new one and building its following up. Team shirts were designed for a trip down South as well as hero autograph cards for the 2017 season. Our team also created a 10 minute long video for a trip down south with the team that highlighted the highs and lows of the event.